Burbank, CA (January 5, 2016) – Clary, Jace, Alec and Isabelle must hatch a rescue plan that takes them into the heart of a vampire lair in “Dead Man’s Party,” an all-new episode of “Shadowhunters,” airing TUESDAY, JANUARY 26 (9:00 – 10:00 p.m. EST). ABC Family is becoming Freeform on January 12, 2016. With Simon being held captive at The Hotel DuMort, Clary pleads with Jace, Alec and Isabelle to help her rescue her best friend. 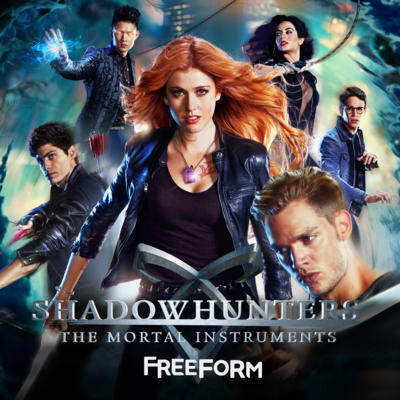 As the team readies for the mission, Jace helps Clary learn more about her Shadowhunter powers, Isabelle turns to her favorite Seelie for Intel, and Alec begins to question Jace’s motives and his place in their partnership. Meanwhile, a very scared Simon gets very up close and personal with Camille, the leader of the vampire clan.